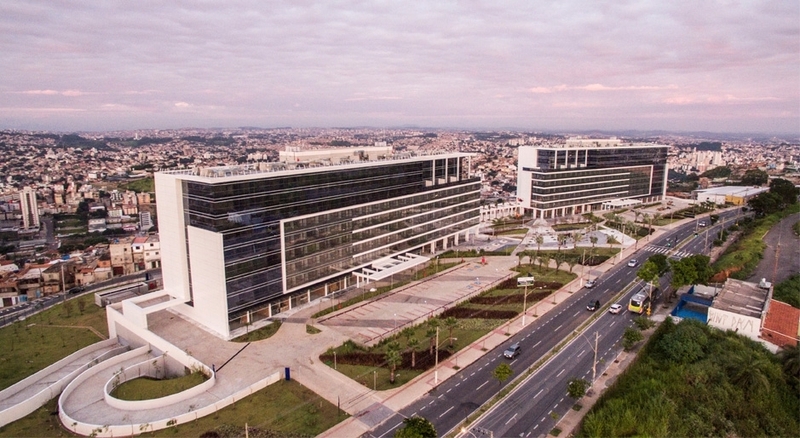 This commercial building located in Maravilha Port, whose urban redevelopment is the biggest redevelopment project in Brazil, and will reshape the city centre of Rio de Janeiro. The new building will become a landmark, due to its unique asymmetrical facades design, and high thermal and structural performance. The facade system is bespoke from STRUNOR, being developed from a proprietary unitised system. A multi-purpose complex inspired in the concept of “compact city”, where all uses and services are concentrated in a single place. Designed to accommodate activity 24 hours a day, features a rich leisure infrastructure, with restaurants, squares and integration in the linear park. This mixed-use complex comprises 5 Corporative Towers, 1 Commercial Tower, 1 Hotel, 1 Shopping Centre, 2 Residential buildings, Cafes and Restaurants. In fact, it is a multipurpose intelligent complex with the latest technology in terms of sustainability. Distinguished design with a stunning view of the city. 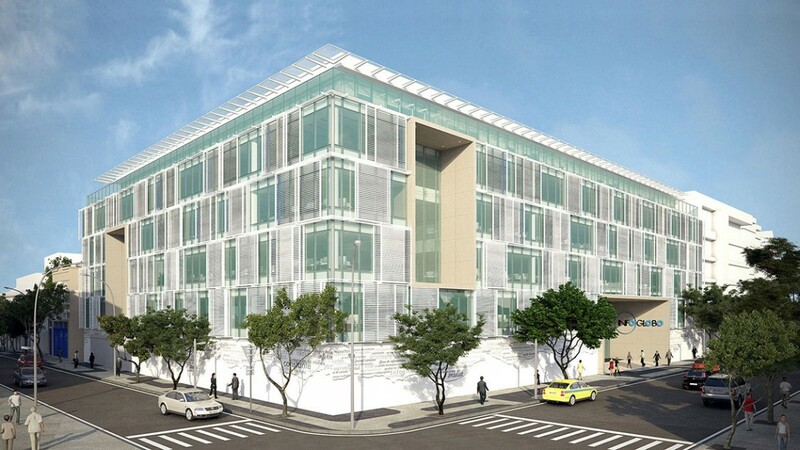 This building follows a standard of superior quality, including the “Aqua” sustainability certification. Two volumes featuring glazed facades and aluminium composite panel insertions in different sizes and colours. 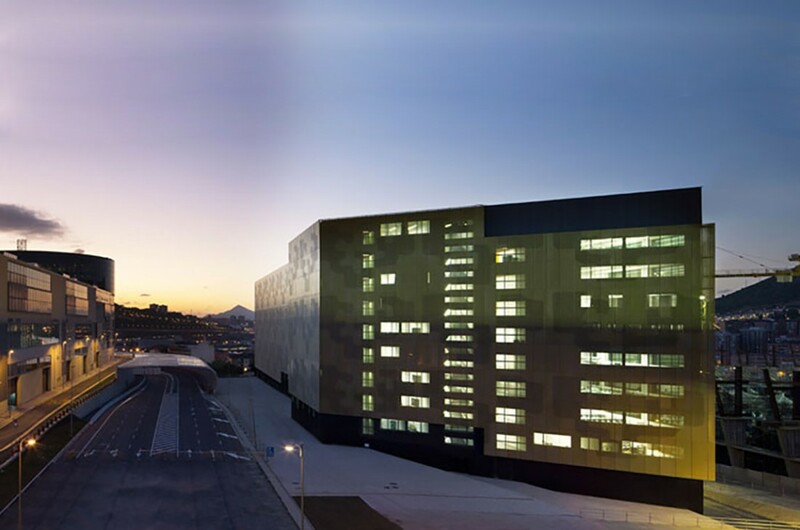 The new headquarters for Infoglobo were designed to reflect the dynamism of the newspapers El Globo and Extra, with a commitment to achieve the highest level of sustainability. 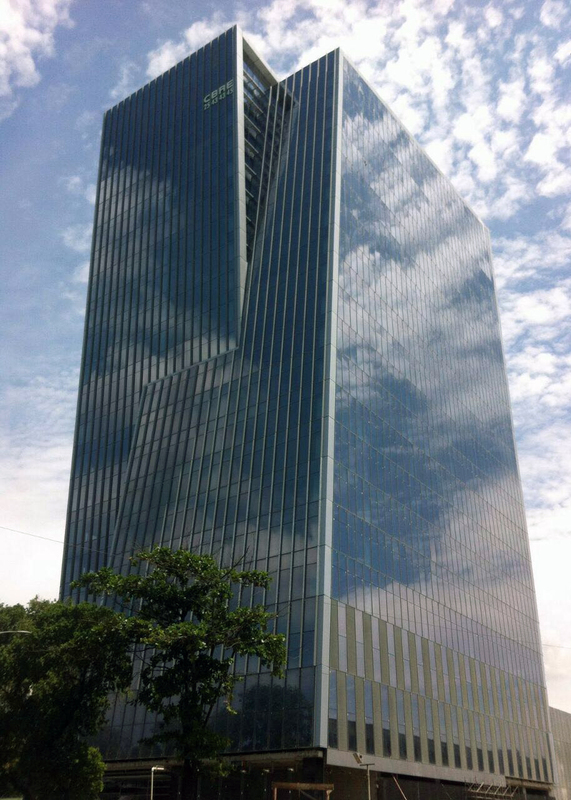 This is a unique facade in Brazil, where the large size sliding shutters that incorporate rotating louvre blades stand out as the characterising element of the façade. The sun protection system is automated so that depending on the incidence of the sun and the program set by the client, the shutters slide and the blades rotate to accommodate, providing an adequate protection as well as the desired image of a changing facade. 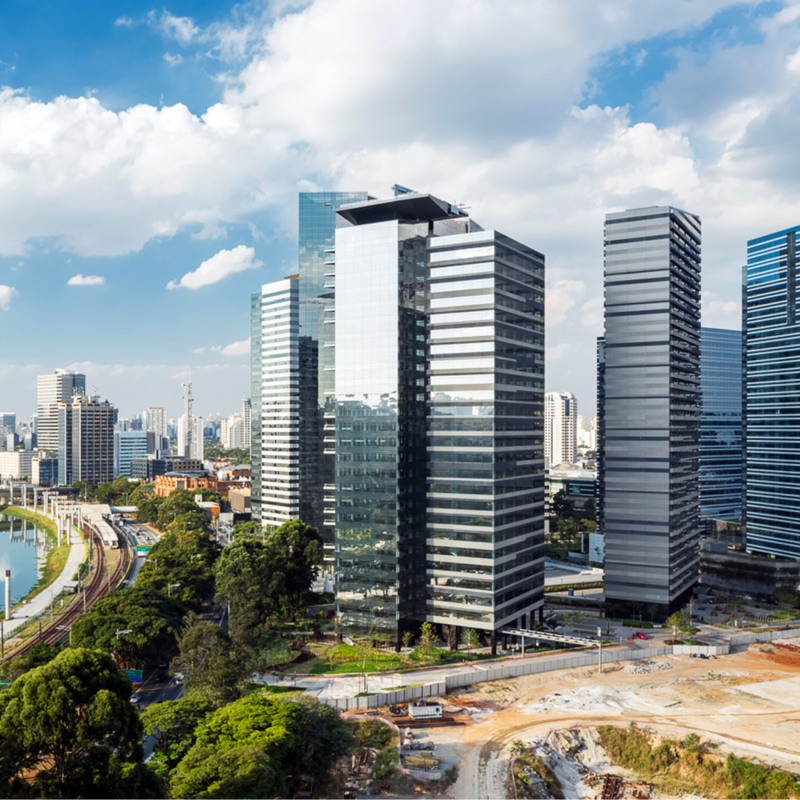 The Paulista Avenue, habitat of the economic and cultural abundance of this metropolis, is the urban space that is best identified as the symbol of the city of São Paulo. The façades are formed by glass panels that are not bound to each other, and are displaced in order to create gaps in the volume as well as highlighting its verticality. 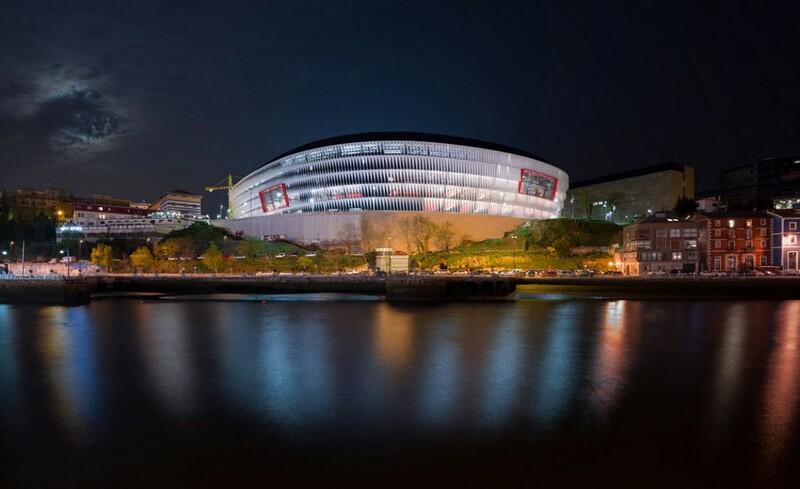 The location of the new stadium in the new Bilbao´s urban expansion, overlooking the river, makes the building an architectonical statement which reflects strength and conviction while respecting the neighbouring buildings in this area of the city. 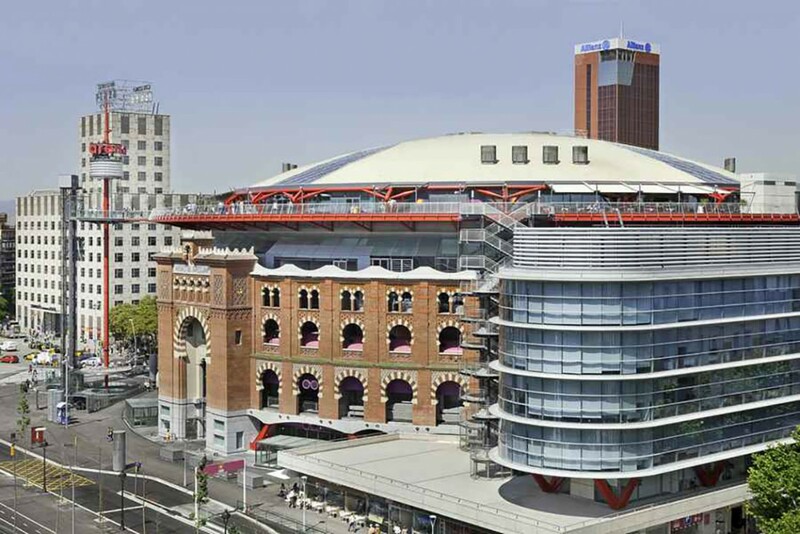 The stadium´s façade, made of glass and metal vertical elements, allow natural light through into the building, providing luminosity, wide views and functionality. On the outer skin of the building, between the metal frames containing ETFE sails, perforated metal sheet pieces with triangular geometry are placed to complete the enclosure, serving as a sieve for natural lighting. It is worth mentioning the VIP areas curtain walling, facing both the inside and the outside of the stadium on its inner skin, as well as STRUNOR´s bespoke curtain wall system, specifically designed for this project for what are known as the “red boxes” on the outer skin, and the metal drop ceiling using a bespoke unitised system which supports perforated and embossed metal sheet panels, generating an organic surface. Richard Rogers, Pritzker price winner, imprint in this building his marked personality through the use of the structural elements. The external skin is solved with a horizontal cover cap stick system, curved glazing units, and a perimeter eave that provides shading for the rooms. The system also provides division of the building into different fire sectors. The eave has been specifically designed by the STRUNOR´s engineering department in such a way it can be completely prefabricated and then easily installed on site. Due to the facade´s irregular curvature, the aluminium profiles had to be curved by employing the wax infill bending technique. Final water tightness and permeability tests carried out on the façade were successful and to the architects satisfaction. 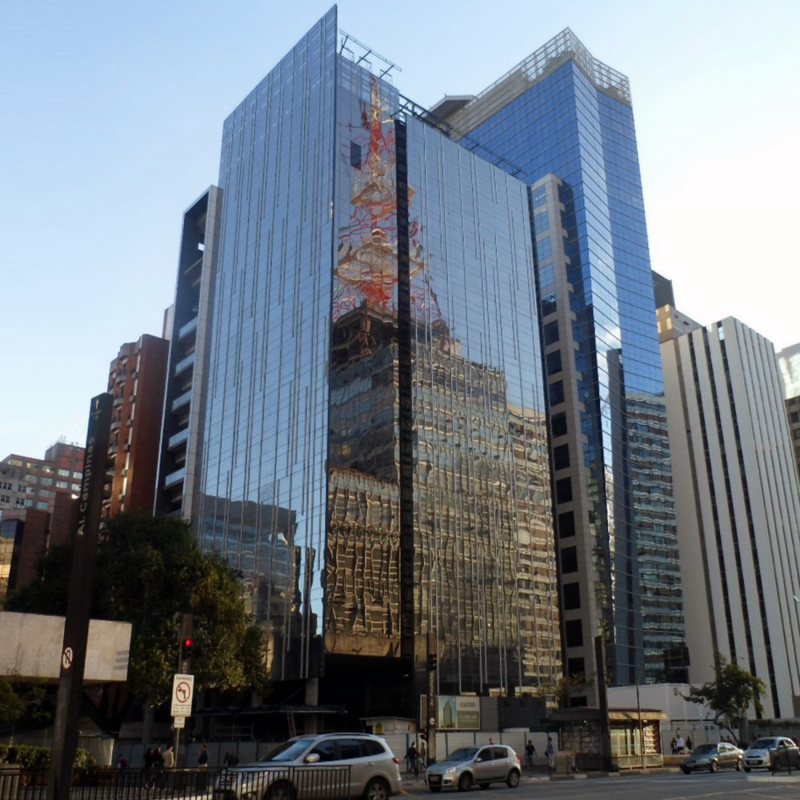 This luxury commercial building is located in the city centre of Rio de Janeiro, near the new port area, and is classified with LEED Gold environmental certification. 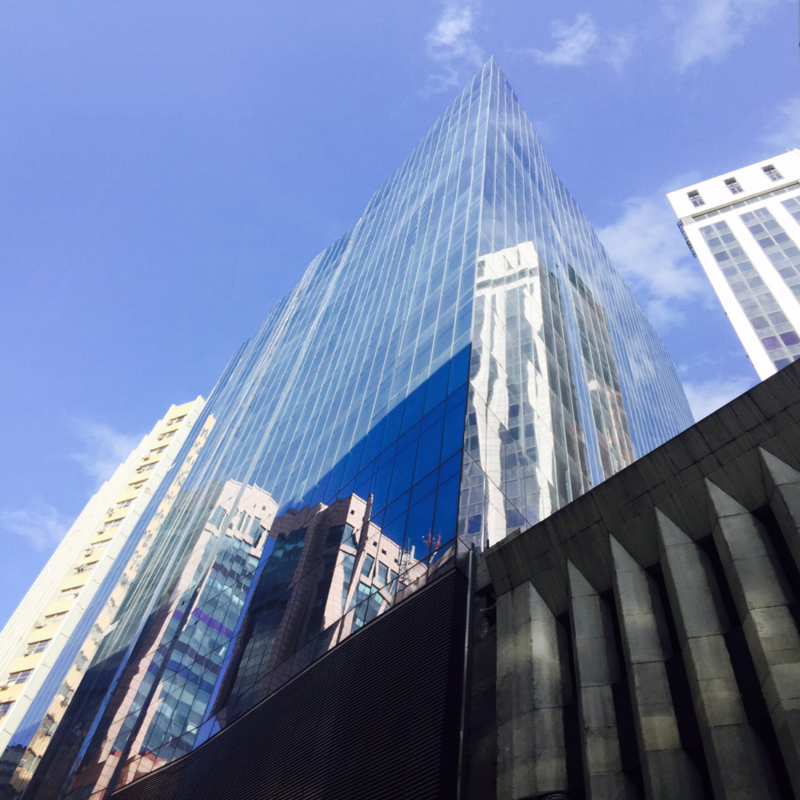 The complex geometry of the glass pieces and sloping facades make this project stand out from the rest of buildings of the surrounding area. 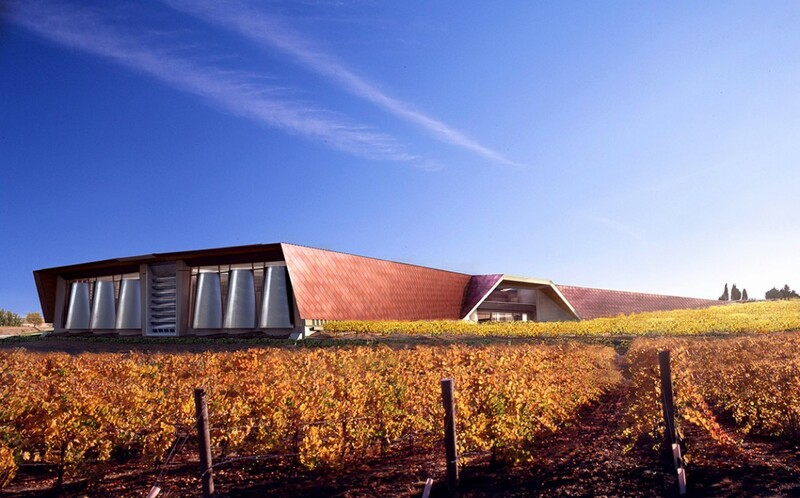 Sir Norman Foster, Pritzker architecture prize winner, designed this re-interpretation of the wine cellar typology covered with corten steel cut down into scale shapes, with three main entrances and a singular facade facing the most visible side of the building. The main facade is made up of an area of stainless steel and glass slats and two curtain wall panels into which portions of truncated cone are inserted, generating elliptic intersections between these and the main façade plane. The truncated cones are supported by a steel structure, anchored to the concrete base, and a secondary structure cladded with a plastic polymer and stainless steel composite panel plus two intermediate anti-humidity films as well as thermal insulation compose the final detailing. The facade system is a Schüco FW50+ stick curtain wall. Due to a potential issue of differential thermal dilation between the truncated cones and the facades, STRUNOR designed a sliding anchors system that ensured a perfect behaviour of the facade.